Get access to our cognitive training program. You can train all of the cognitive domains, like memory or attention. Sign up for free and track your results. Give it a try! Eating well means thinking well. Nutrition and some food have been shown to improve general brain health and others can help prevent, or at least slow down, the effects of certain brain diseases. That's why it's important to include these foods in your diet as often as possible. Tomatoes contain lycopene, which helps fight the cell damage that can be found in Alzheimer's disease. Fish has high levels of omega 3, which help maintain a healthy nervous system, and iodine, to improves mental clarity. Whole-grain foods contain folic acid, B12, B6, which help improve memory. Blueberries have been shown to improve short term memory. Pumpkin seeds contain zinc, which enhances memory and thinking skills. Fortified cereals are a good source of B12, which reduces homocysteine levels that may contribute to Alzheimer's disease. Broccoli provides Vitamin K, which enhances cognitive function. Sage is good for improving memory. Nuts are a great source of Vitamin E, which improves memory. Nutrition is important for our bodies, but even more for our brains. Depending on the nutrients that your brain receives, your brain activity and cognitive results will be different. Each meal has a different composition and effect on our brain. 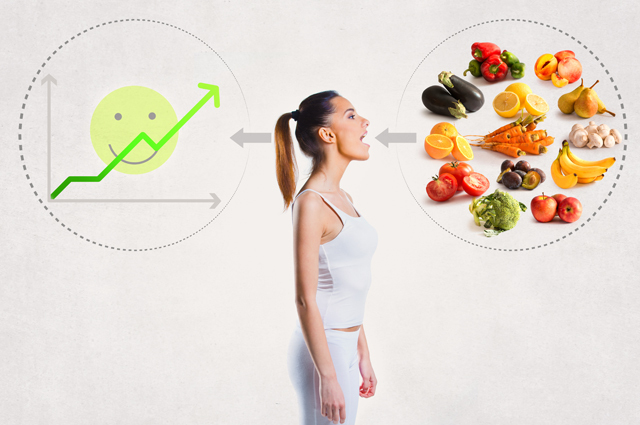 Nutrients are responsible for increasing the amount of neurotransmitters that we have. This regulates our mood, behavior, depressive or anxious state, and even sleep. If we have proper nutrition, it will improve our mood, ability to think and reason, memory, concentration, and other cognitive abilities.